If you are taking up cycling for the first time or returning to the bike after many years, it can be daunting. Follow our top cycling tips to help you ride better and safer. Always wear a helmet that fits properly when cycling. Most helmets are light weight and a lot more stylish than they used to be, so there is no excuse not to wear one. In Ireland it’s not uncommon to get four seasons in one day. Invest in a light weight waterproof jacket to keep you warm on a wet and windy day. Although gel shorts don’t look the prettiest, they can prevent soreness and chafing on a long cycle. Your bottom will thank you for it. Attach a repair kit, spare tube and pump to your bike. This avoids a long walk home or wait for a lift, if you get a flat tyre. Regardless of having a new or old bike it is important to get the bike set up to fit your body. Having a bike that fits properly allows you cycle more efficiently and help avoid soreness after a cycle. If your based in the South of Ireland check out The BikeFit Physio. Always cycle with the traffic and obey the traffic signs. Be alert to cars and never cycle with headphones on. On long cycles drink and eat, little and often, to avoid dehydration and a drop in energy levels. When cycling you burn a lot of calories. Carry dry snacks such as granola bars, bananas and plenty of water. After an intensive training session ensure you give your body time to recover and repair before your next training session. List to your body, if you are sick or injured take a few days rest from the bike. Taking a few days off from a training programme is better than being forced to stop for months due to injury. You can get lots of tips and advice from other cyclists. In addition, cycling with a group can help you stay motivated on a long cycle. There are lots of clubs and groups dotted all over the country just Google your local area. 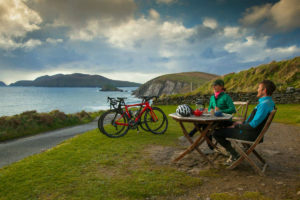 The Ride Dingle 55km route is a great goal for a new cyclist. 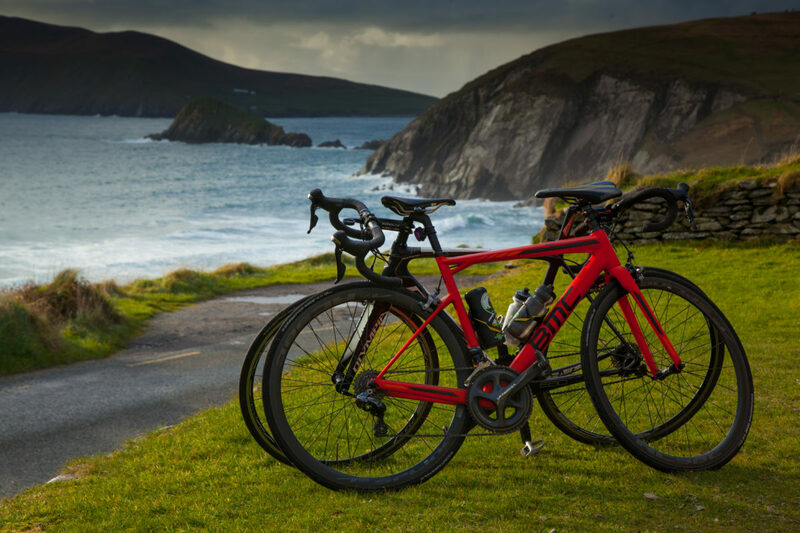 Ride Dingle takes place on Saturday 27th April 2019 and is on sale now.